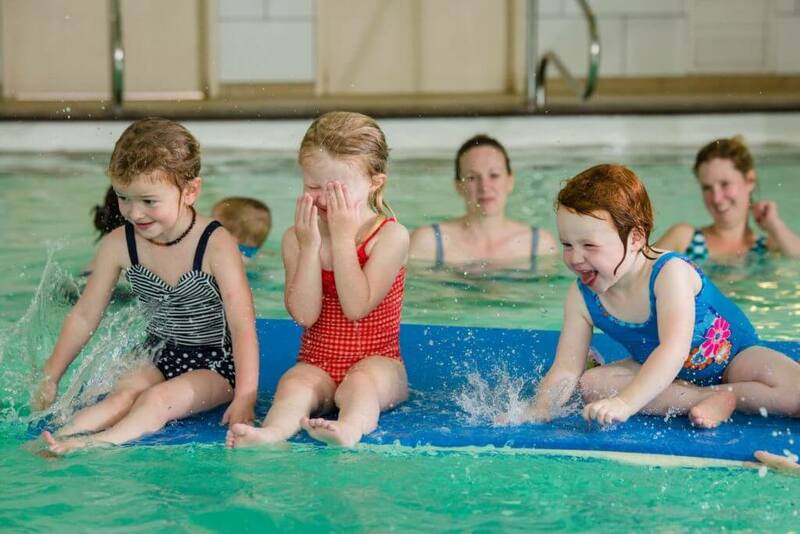 Our toddler swimming lessons are popular with children and parents alike. We offer a safe, fun, water-based environment and teach effective toddler swimming skills to boost your child’s confidence and ability. Our toddler swimming pool was built especially for children. There is no chlorine in the water and sanitation is provided by an ultraviolet system meaning chemicals are kept to an absolute minimum. Through progressive teaching practices, children will learn how to master their breath control and how to propel themselves through the water. We use the Birthlight method of teaching, which encourages free movement in the water at a time when your toddler is both physically and emotionally ready. Using the wonder of their imagination and by playing challenging yet fun games, they will learn new water safety and stroke development skills on their journey to independent swimming. Because our teaching method is sensitive to the abilities of each individual child, we do not follow a strict program of training the child to meet a certain level of ability. Instead, our approach centres on safety, having fun and swimming with your child in an environment free from expectations and pressure to meet criteria based on performance. Our lesson plans are flexible enough to ensure that progression is made in swimming ability at the child’s pace without pressure or force. Toddler Swimming Classes are for 1-year to 4-years old and are booked in terms of 10-week blocks. Because our approach to swimming is gentle and child-led, it is possible to join at any time during the term and pay on a pro-rata basis. Groups are limited to eight babies per class with one parent in the water. There are three extra spaces (plus-one’s) in each session which can be used to bring someone else along, e.g: mummy, daddy, grandparent, a sibling etc. Plus-one spaces are free of charge and can be booked one week in advance. If no classes are showing in the timetable below, please scroll forward through the calendar. To make a booking or enquire please contact us.